Hello! 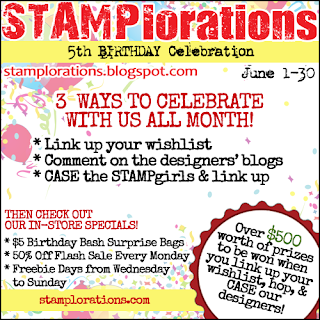 Today it's my turn to share some oldies but goodies with you and a couple of new cards with old and new stamps as part of STAMPlorations 5th Birthday Celebrations. You can join in the fun by CASEing any of my cards from this post, or indeed any of the cards from STAMP team members' June posts. There are over $500 worth of prizes to be won - you can find all the details on the main blog post here. So. The brief was, show your top three STAMPlorations cards. How do I choose? I have so many favourites! 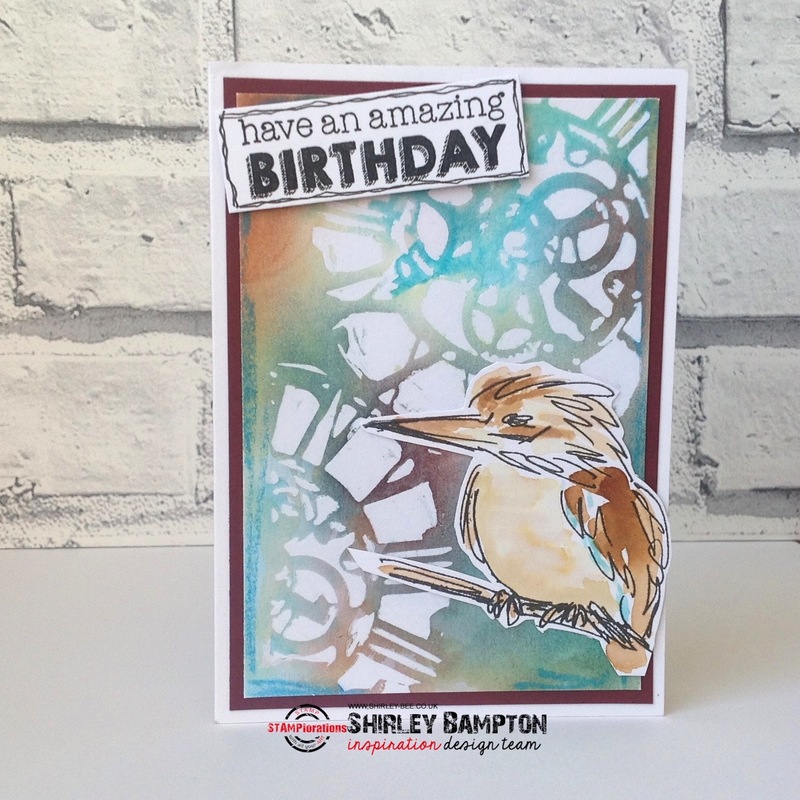 But I've got to say, one of my all-time favourite stamps is the kookaburra/kingfisher from the Small Birds set, and this card is my favourite (you can see the post here). Actually I've got more favourites from this stamp set, which you can see on my Pinterest board here. I love this party dress - I'd love to have worn one in real life, back in the day! And my next card is using my oldie but goodie Party Dresses set. 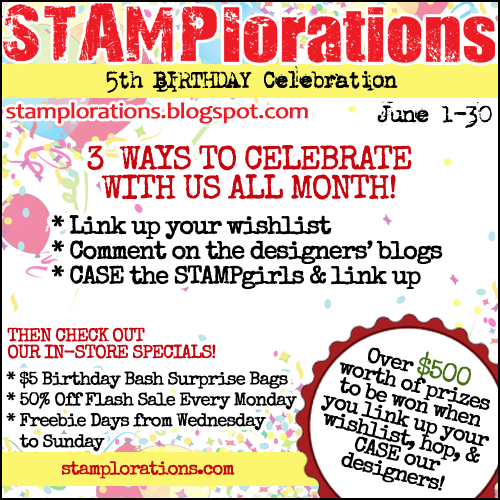 Hope you're enjoying these designer posts during the STAMPlorations birthday bash, and if you decide to play along, good luck! 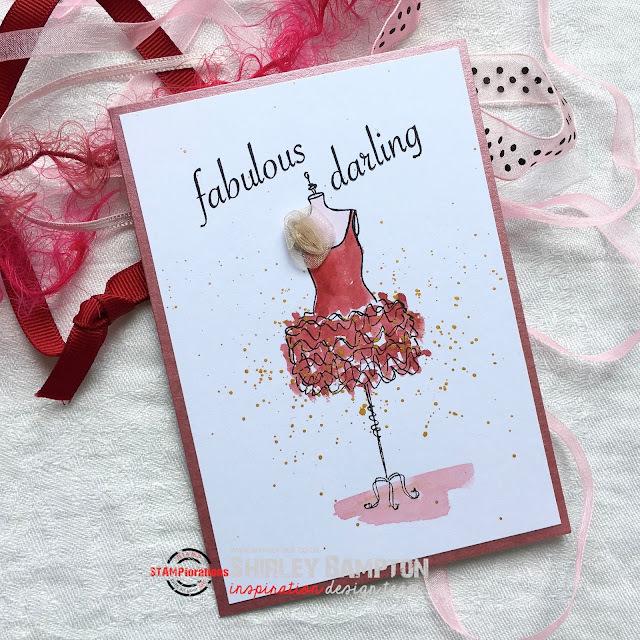 Love these fabulous cards with their happy colors! That bird card is super cool too! 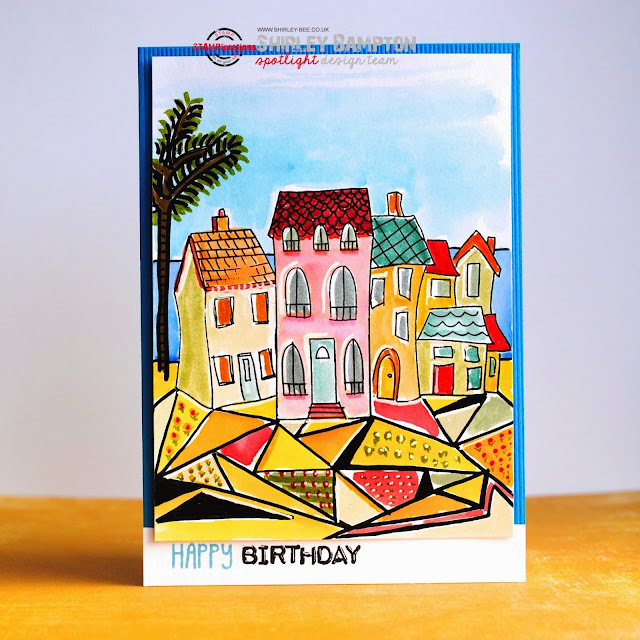 Love your fabulous backgrounds, Shirley, and the whimsical house by the sea won my heart! I love all your creative cards, Shirley..old and new:-) I have your kingfisher and houses..sure hope I get time to play. Such a busy gardening, etc time of year. Your stamp sets and dies always inspire me:-) TFS and Happy 5th birthday:-) Hugs..
wow love the creativity of your cards!!! 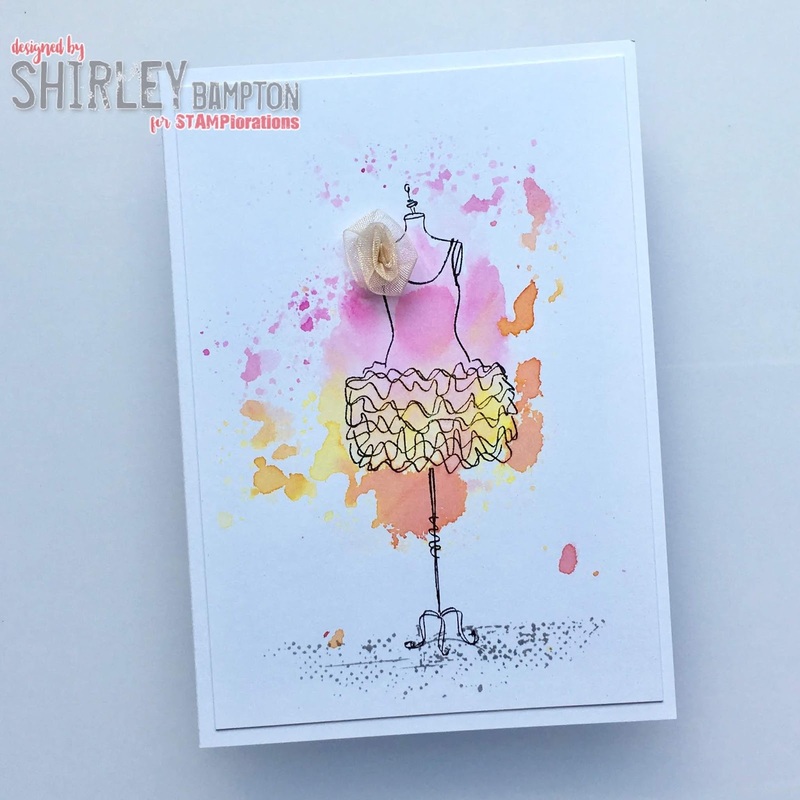 Your cards are all so beautiful, Shirley! I think my favourites are the new cards with the watercolour /smooshed backgrounds. Lots of opportunities for CASEing there - thank you! Very pretty cards. I love the party dress cards! These are so sweet! You created lovely cards! Great job! I am just loving those pretty cards with the dress form so much! Not sure how you narrowed your favourites to 'three', as all your cards are incredibly; the trio here, however, truly are amazing...as are the newcomers. The party dresses...swoon! This set is on my wish list, as it's caught my sweet niece's eye (she's into 'dress designing' these days...). Wow! Lovely cards!!! My fav are your party dress creations!!! These are such wonderful, colorful cards! My favorites are the oldies. The Houses image is one of my favorites, and it looks great here. Thank you for sharing these. I love the colors on your card. I am so impressed with your splatters. Great job showcasing STAMPlorations products. Wonderful cards. Love that bird.